Pakistan produced a dominating performance in the 4th One Day International played at the Wanderers Stadium, Johannesburg and leveled the series at 2-2. After losing the 3rd One Day International at Centurion, Pakistan came back strongly and steamrolled the hosts for a low total. Pakistan stand-in captain Shoaib Malik did a great job as captain as he rotated the bowlers well and also set the field placement with precision. Imam-ul-Haq is in the form of his life at the moment. The opener played another match-winning knock to guide his team home. It was a sensational performance by Pakistan bowlers to skittle out the hosts and then chased down the target with ease. With this win, Pakistan leveled the series 2-2 and would be hoping to produce the same performance in the deciding ODI to be played on 30th January. Pakistan played some brilliant cricket in the 3rd One Day International as well as they scored 317 runs batting first. Though they did not bowl poorly, DLS played a part in the rain-affected game and Pakistan lost it. Here we look at the 4 reasons why Pakistan won the fourth One day international against hosts South Africa. Pakistan stand-in Captain Shoaib Malik won the toss and decided to field first at Johannesburg on Sunday. Shaheen Shah Afridi got the team off to a perfect start as he grabbed wickets of Quinton de Kock for 0 and then Reeza Hendricks for just two runs. Pakistan reduced South Africa to 18 for 2 in the 6th over. 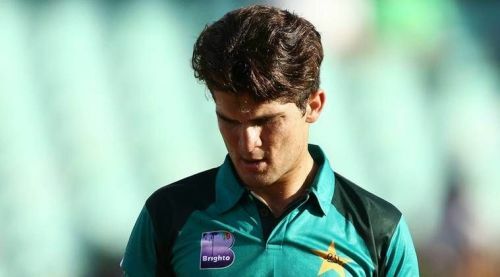 It was a great bowling spell by Shaheen Shah Afridi to jolt the South African batting line up. South Africa scored just 32 for 2 at end of 10 overs. Afridi finished with 2 for 24 in his eight overs.